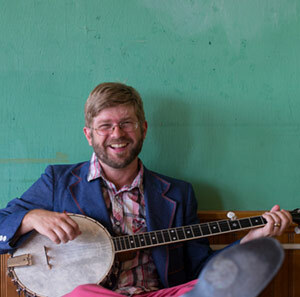 Award-winning Canadian folk singer/songwriter/banjo player, Old Man Leudecke, is touring Australia again following the release of his latest CD Domestic Eccentric. Jan Dale has advised us that Old Man Leudecke and will performing live to air on her radio program Southern Style on Tuesday May 3rd between 1:00pm and 3:00pm. Also on that show Jan will be paying tribute to one of the finest fiddle players in Bluegrass today, multi award-winning fiddle player Michael Cleveland. Old Man Leudecke has managed to double book himself and is unavailable for this program. 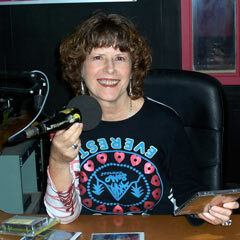 Jan Dale extends her apologies for those listeners planning to tune in. Old Man Luedecke’s new album Tender Is The Night is a collection of surprisingly refreshing sounds from a man who has perfect control of both lyric and instrument. It is one of those albums you’ve long-awaited and welcome its arrival. Luedecke’s songwriting is poignant yet simple while playful with purpose. I am running like everyone else. Laughing just to keep from crying. I am always trying to find a way to express. I am a prisoner for my appreciation for language; language that moves me is language that is unusual. The songs are about a variety of topics, a meditation on art and ambition is present in a lot of what I do. Art, and whether there is spiritual success without worldly success, that’s the heart of ‘Tender Is The Night’ – Chris Luedecke. While Luedecke’s mastery of lyric and music is overly evident in this album, the addition of Tim O’Brien’s mandolin and fiddle delivers a fine musical tapestry. The album was recorded in Nashville at the Butcher Shoppe in four days with producer Tim O’Brien. The album features folk and bluegrass musicians Mike Bub on bass, Kenny Malone of drums and Tim O’Brien on fiddle and mandolin. Old Man Luedecke provides comment on his song list. “Kingdom Come,” opens the CD with a heart rendering declaration of belonging. “Jonah,” explores a character struggling, crying out from inside the belly of a whale. “Little Stream of Whiskey,” leaves listeners savouring the last sip. “A&W,” cheekily pokes fun at post-bar boozy cravings, where a cabbie and drunk find themselves at a drive-thru. “This Might Hurt A Bit,” gets your toes tapping, and sifts through the endless layers of love. “Tender Is The Night,” is a poetic and pensive testament to longing. “Long Suffering Jesus,” closes the album with biblical flair and optimism.